We Take Extra Care to Assure Extra Quality. 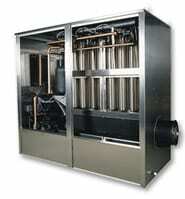 Arctic-Temp® ice machines are custom-tailored and hand-assembled, using the highest quality components and materials. We put more quality into our machines, so you get more value out of them! We manufacture mid-range industrial ice machines for commercial use and we’ve been doing so for more than fifty years. We’re dedicated to high quality, problem free machines that are thoroughly tested prior to delivery. Our Arctic-Temp® machines are renowned for reliable performance over many years, even in very challenging conditions and climates. We also provide stellar customer service, since we’re a family run business that takes pride in serving each customer individually and personally. None of our competitors offer the combination of reliability, quality, service and price that we do. The end result being, that when you purchase one of our industrial ice machines you get value. Ice production with an industrial ice machine must be done much more efficiently than ice making in a typical household setting. Our machines are able to produce from 2,000 up to 20,000 pounds of ice daily. In order to produce this quantity of ice our machines use advanced techniques, but they also must be made as reliably and simply as possible to avert failure. Our industrial ice machines produce ice on vertically suspended, cylindrical, double-walled evaporators. Our ice making process uses the entire surface of the evaporator to produce ice rapidly and efficiently. Chilled water is recirculated continuously over both surfaces of the evaporator. Water is also recirculated from the stainless-steel sump. Water flows on both the inner and outer evaporator surfaces with the water being delivered by tubed water distribution. The freezing time is set by a repeating cycle timer. The ice making side of our ice machines are made from high quality Type-304 stainless steel that is non-magnetic. Other companies often use lower grade alloys. The ice making side of our ice machines is totally produced and assembled prior to mating it with the high side that contains the condenser and compressor. Our compressors are made by COPELAND, frequently counted as the best in the world. Copeland has the best warranty in the industry and has parts distribution in most major cities. Our high grade stainless steel evaporators use double surface concave freezing techniques. It uses vertical tubes that are made so that ice can form on both the inside and outside of the tubes at the same time for rapid production recovery and excellent efficiency. Our concave design provides increased ice production surface area, so that cooling is immediate and long-lasting. The freezing zone in our machines has no moving parts. There are no gears, motors, or augers. This alleviates many issues that can arise when moving parts are used. We use standard components rather than specialized difficult to replace parts. Most of our components, except the evaporator, can be found at any refrigeration wholesaler. This allows you to easily obtain replacement parts, as needed, after your warranty expires. All of our machines are leak and vacuum tested prior to shipment to our customers to ensure problem free operation right from the start. Our machines are charged with refrigerant at the factory and thoroughly tested and calibrated prior to shipment. Our machines are hand-assembled and welded with the TIG welding process. We hand form and weld our stainless steel evaporators. We leak and vacuum test each machine to ensure leak-free piping. After charging with refrigerant, we test and calibrate each machine to ensure proper operation. We completely produce and assemble the low sides of our machines before matching and mounting them with the appropriate high (condenser/compressor) side. We use only COPELAND compressors, considered by many to be the world’s best. The Copeland warranty is tops in the industry, and Copeland warranty stations can be found in most major cities.